Digging Deep, Crossing Far_ 1st Encounter: Bangalore has taken itself in search of traces in Bangalore in the southern Indian federal state of Karnataka. Though most Indian soldiers were recruited from North India in the First World War, above all from the Punjab, men from South India also served in the Mysore Imperial Service Troops. 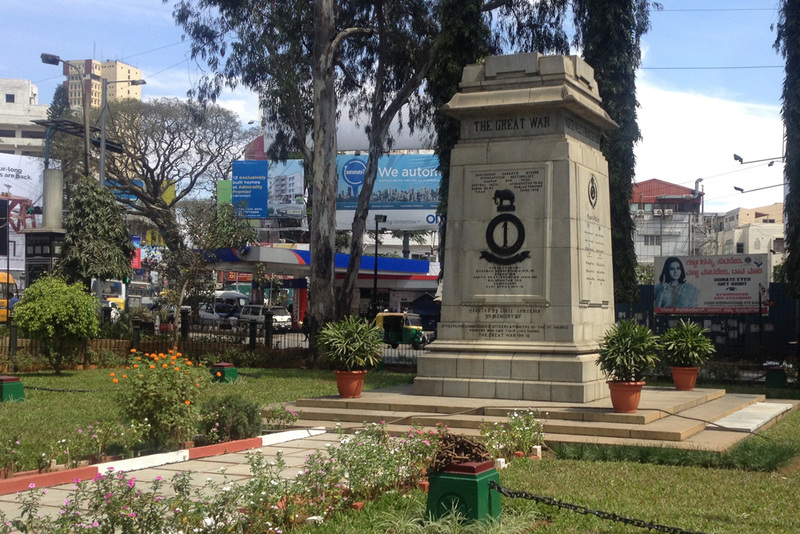 As a city, Bangalore was starkly influenced by the British military and remains to this day an important location for the arms industry. The first Bangalore Torpedo was developed here shortly before the First World War and put to use in that war for the clearance of barbed wire. Digging Deep, Crossing Far_ 1st Encounter: Bangalore was shown at the Goethe-Institut/Max Mueller Bhavan Bangalore and at the Bangalore Literature Festival from December 4–6, 2015. From January 2–8, 2016, the exhibition could be viewed at Pepper House, Kochi.